Mazda is about to change the way gasoline engines work. The Japanese automaker has been working on new technology it calls SkyActiv-X. While information about the designs came out back in January, recent reports that the automaker will use the engine design for production vehicles has everyone talking. 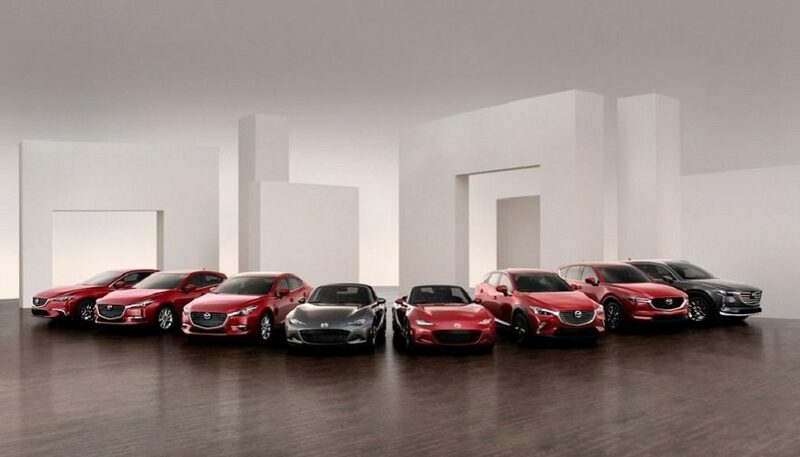 George S. Patton Jr. famously said that “pressure makes diamonds.” Mazda seems to be proving that statement true. For all accounts, Mazda should be on death’s doorstep. It’s a small automaker in a big boys’ game. At least, when you look at sales volume and financial might, that’s the appearance. What Mazda lacks in size, it more than makes up for in ambition and ingenuity. Case in point: the rotary engine. Sure, it has some major design flaws. But where other automakers saw obstacles, Mazda exploited opportunity. The result was the RX-7, a car many enthusiasts consider to be nothing short of legendary. While other car companies are charging ahead down the electrification path, Mazda’s been hanging back. It doesn’t have the research and development budget to be on the cutting edge of electric vehicles. After all, the risks are high, and Mazda doesn’t have the financial cushion to play that game. Instead of starting over at square one, the Japanese automaker has decided to perfect what it already has: the internal combustion engine. Homogenous Charge Compression Ignition makes the new SkyActiv-X technology possible. It makes SkyActiv-X about 20 to 30 percent more efficient than the current Skyactiv-G engines. That’s a huge deal, because Mazda will be pushing into the same kind of fuel economy you can expect from a good diesel engine. 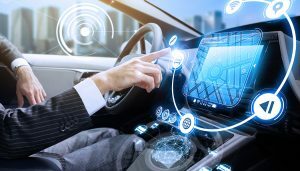 What Is a Car Infotainment System? Some automotive news outlets jumped the gun and declared SkyActiv-X engines won’t use spark plugs. That’s not true, but they will use compression-ignition when under lower loads. That means the gasoline ignites through extreme pressure, like a diesel engine. The spark plugs work at higher loads, igniting the fuel like a traditional setup. That means when you press on the accelerator and really open the throttle, the spark plugs start firing. Same thing goes for starting the engine, so you won’t have to deal with glow plugs for cold weather starts. Unlike engines we know today, these won’t use spark plugs constantly, even under high loads. Instead, at first a spark will get things rolling. Then with the higher pressure in the cylinders, the engine will use compression to burn up gas. When using spark plugs, this engine uses the Atkinson cycle. That means it’ll still be efficient, although compression-ignition should be far less thirsty. 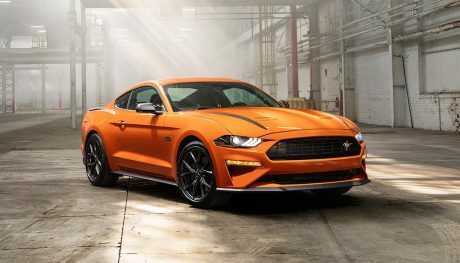 This design will really help people who like “hypermiling.” The more your cruise and keep your foot only lightly pressing the accelerator, the better your fuel economy by far. As a result, Mazdas with SkyActiv-X engines should achieve amazing highway mpg ratings. 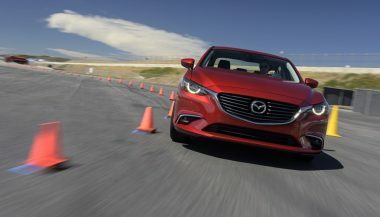 Since Mazda’s into zoom-zoom, SkyActiv-X should lend itself to fun times behind the wheel. A supercharger will help provide a nice uplift. That’s great, because saving gas and cutting emissions shouldn’t mean horrible cars. Naturally, Mazda hasn’t officially released details of the SkyActiv-X. Instead, this information leaked out to various automotive media sources, and has spread from there. As a result, we don’t know some key details about how this tech works. One of the main questions we hope to get an answer to is how smoothly this tech works. Enthusiasts love how rotary engines have an uninterrupted power delivery. But as the SkyActiv-X engines switch between modes, will you feel any roughness or lurching? And they are other perplexing issues, such as why supercharging instead of turbocharing, or how Mazda plans to prevent any knocking. Once Mazda’s ready to officially reveal Skyactiv-X to the world, we’ll probably get solid answers immediately. The company loved educating people about its innovations, like when SkyActiv first launched. With this new engine tech coming, Mazda certainly is moving and shaking in exciting ways. But we might have more surprises coming down the pipeline. Depending on who you ask, the company will be bringing the rotary engine back very soon. We know Mazda filed a patent that showed how a rotary engine would be paired with a start-stop system. Yeah, not everyone loves how some cars these days shut the engine down when you stop. When you start going again, the engine fires up automatically. Such a system might make the rotary pass emissions and not get horrible fuel economy – two big issues that pushed it into extinction. Mazda could also make a hybrid rotary engine setup. That would address those big concerns more fully. Some sources claim Mazda will put the new rotary engine in the Mazda3, along with SkyActiv-X. So, you’d have a few choices for powering the little car. For now we get to speculate, then see exactly what Mazda has in store. Mazda's new G-Vectoring Control system is the result of an eight-year study to help improve drivers' reaction to G-forces while on the road. Nissan Ready to Launch Semi-Autonomous ProPILOT Assist in U.S. 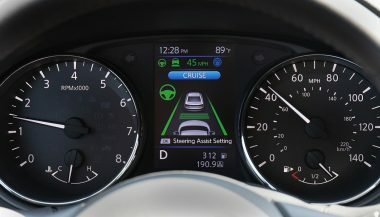 The Nissan ProPILOT Assist feature helps drivers simultaneously stay in their lane and maintain speeds. It will be available later this year. 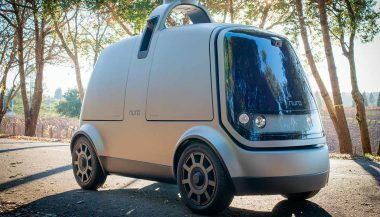 Nuro, a new Silicon Valley company, has introduced its first self-driving vehicle to solve our problems with transporting local goods.